mountune’s extensive knowledge of the Ford EcoBoost engine coupled with broad motorsport experience provides the foundation for the ultimate 2.3L Ford EcoBoost forged piston. 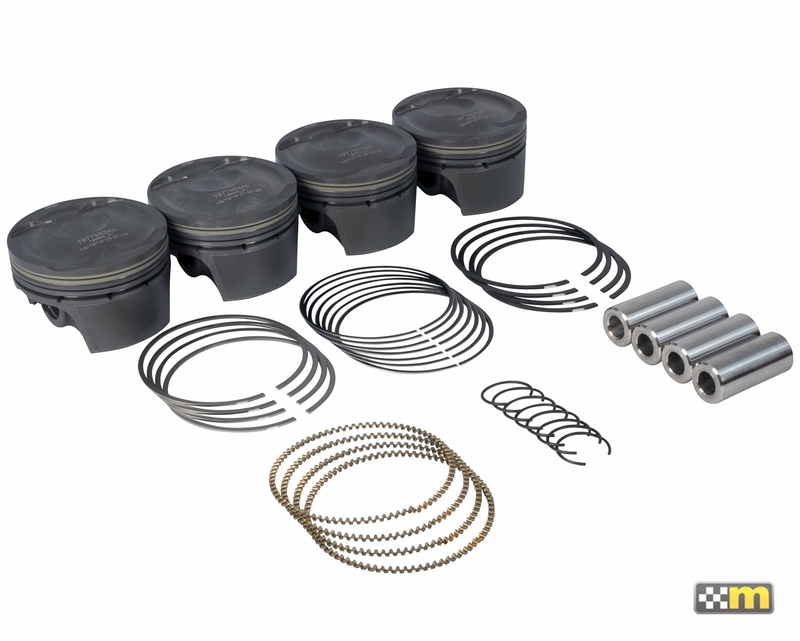 Engineered in house by our motorsport division and manufactured exclusively by our partner Mahle Motorsports, the mountune Mahle forged piston set for the 2.3L Ford EcoBoost is a fully featured piston with many of the same upgrades we use in our professional motorsport engines. Produced from modern 2618 lightweight alloy forgings for extreme duty, each piston features supported pin bosses to withstand the extreme conditions found in engines operating with high cylinder pressures. The layout of the piston has also been optimized with weight reduction in mind and reduced skirt profiles to minimize friction. The design also includes gas accumulator grooves developed during extensive testing and tailored for the EcoBoost engine. Careful consideration has been used in the “bowl” area of the piston to maintain Ford’s original profile to ensure proper and efficient combustion. Extreme duty 22.5mm internally tapered, short wrist pins are used to reduce pin flex and weight. Mountune connecting rods are recommended to ensure a matched set of components. As an added feature, Mahle's phosphate dry lubricant coating is used on the entire piston to reduce micro-welding and pin galling. 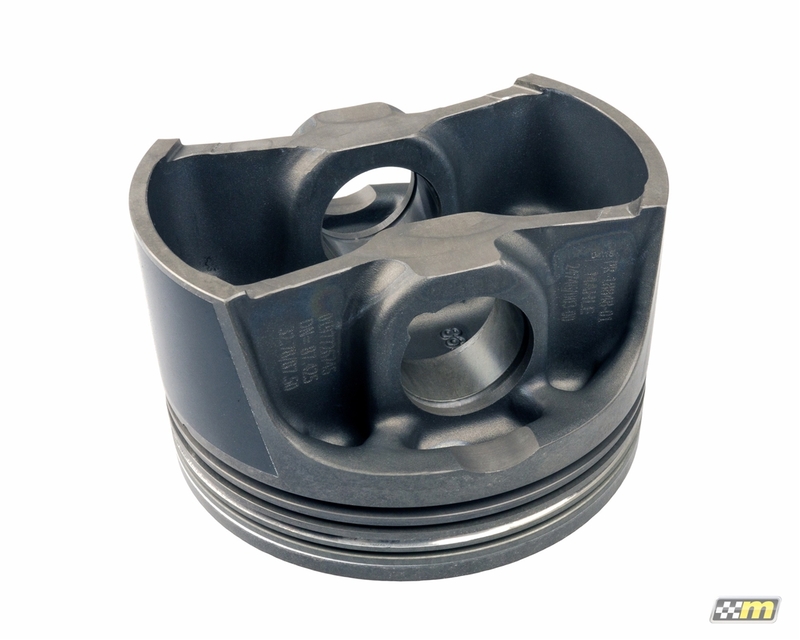 Additionally, Mahle's Grafal skirt coating is used on the piston skirt to reduce cylinder wall friction reduction. Hard anodized top ring grooves have been incorporated for increased durability and strength to withstand the high cylinder pressures of high boost engines. Gas nitrided top ring: Superior combustion sealing, strength and wear. Gas nitrided second ring: Superior strength and wear. 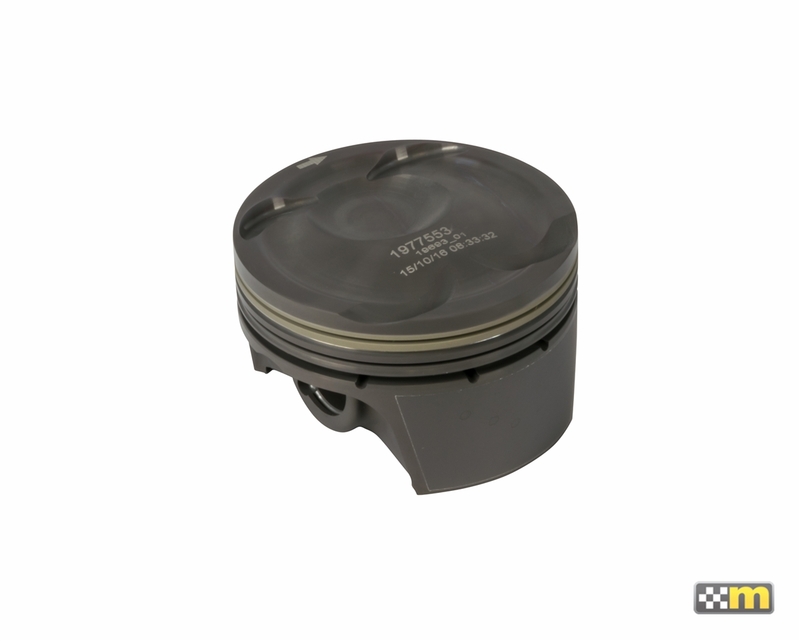 Motorsport grade piston pin locks ensure reliable operation.